All images on this page were scanned from an Official EFE Release Sheet and show the original standard release set 99931. 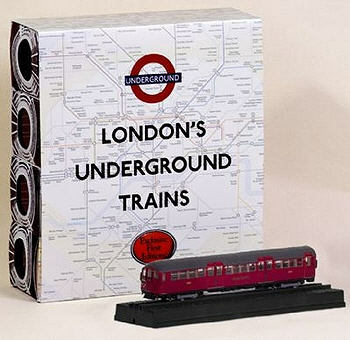 Please email me if you can supply photographs of the actual models in this set. Livery Maroon with dark grey roof. Gold London Transport fleet names. Notes Models issued in individual boxes enclosed in card sleeve. These models have additional "LAST DAY OF SERVICE" notices on the carriage doors but are otherwise identical to the models in set 99931. Commissioner Produced for the London Transport Museum.